Messina’s Runway Cafe is located inside the Terminal building at the restored art-deco style New Orleans Lakefront Airport. The Runway Cafe offers traditional New Orleans cuisine created by Executive Chef Leon West and served is in an historical aviation setting. Runway Cafe is your destination for fun family breakfasts, bottomless mimosas, and business lunches with a wow-factor. Sample our first class menu while watching small planes take off and land with beautiful Lake Pontratrain in the background. 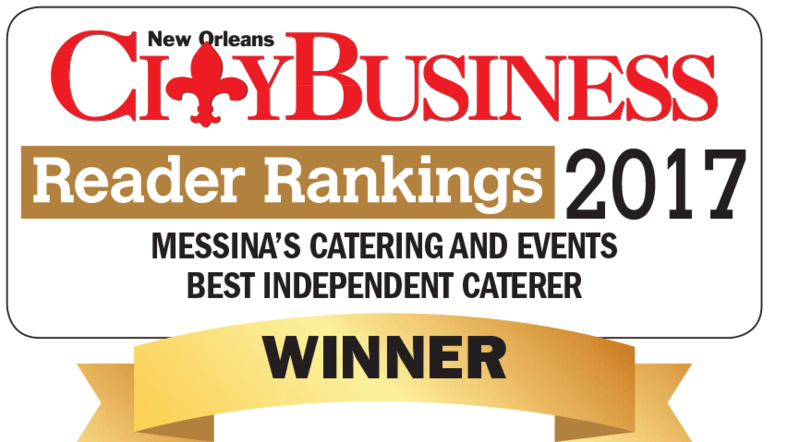 You’ll soon know why NOLA locals and tourists alike rave about everything from the wait staff to the chic decor, and keep coming back for our perfectly executed New Orleans food. The Runway Cafe offers daily breakfast and lunch specials, Tuesday – Sunday from 8 a.m. to 3 p.m. Savor New Orleans breakfast classics such as: Eggs Benedict, Eggs Hussard and Shrimp and Grits or try our signature homemade sweet potato biscuits. Lunch at Runway Cafe offers a diner-style menu with a daily, “Blue Plate Special.” Or for those who want to indulge, Louisiana lump crab cakes, gourmet burgers and sandwiches are also available for a classic New Orleans lunch. Join us for a unique breakfast or lunch experience at the Runway Café today. We’re only a quick 20 minute drive from the French Quarter. View a map and directions.